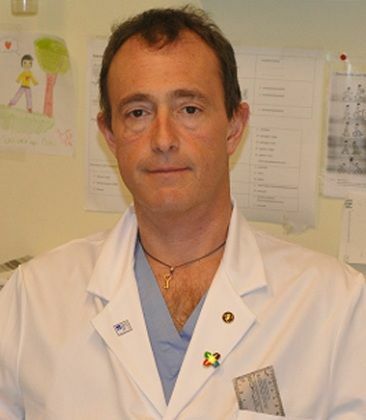 Dr. Nicola Portinaro is Director of the Orthopedic Paediatric and neuro-orthopedic Unit at Humanitas Research Hospital, and is Professor of Orthopedics and Traumatology at the University of Milan. He was appointed as Fellow of the Royal College of Surgeons, Edimbourgh, and from 2000 until now, Honorary Special Senior Lecturer at University of Bristol, UK. Founder and Scientific Director of "Ariel Foundation", a nonprofit foundation for pediatric neurological disabilities. His team in Humanitas is one of the internationally recognized leading team in the field of Pediatric Orthopedics and Neuro-Orthopedic Surgery with an experience of over 100 bone surgical procedures on lower limb every year, of which more than 50 pelvic osteotomies and more than 300 surgical procedures on muscle and tendons (lengthening, transfer, etc.). Prof. Portinaro is specialized in treatment of lower and upper limb deformities related to Cerebral Palsy, Spina Bifida, Developmental Dysplasia of the Hip, Perthes Disease, alterations in skeletal development, clubfoot. A considerable part of his activity is in scientific research, with several experimental works aimed to detect unknown anchors aspects of diseases treated by him. His research fields include the study of genomic and proteomic of extracellular matrix proteins in different disease.